My first month of being a first time professional teacher is behind me. As I look back with 20/20 hindsight I can’t think of a better place, to be a first time teacher, than Room 1501 at Joy Christian School. It has been a blitzing kind of month. I have never been so tired in my life, and at the same time, so content and blessed. 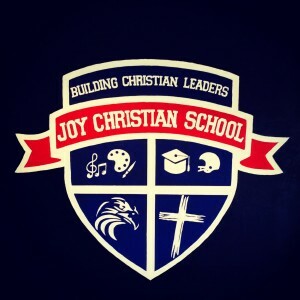 I consider it a privilege to be able to TEACH the Word of God at Joy Christian School everyday for High School Students. I also get to PREACH the Word of God at different Churches around the country, and it is always a thrill to meet the people I get to speak to in these different churches…I’m getting ready to have a conversation with a church in PA where I hope to speak at in the near future. So, not only do I get to teach and preach, I also get to LIVE out what I preach and teach about, through leading Return Hope International! God is good. All these ventures have just begun and sometimes that means slim pickings when it comes to income, but I have learned that God provides…and sometimes…He waits until the very last minute! LOL…and that is perfectly fine with me. He is God and I am not. I will continue to do what He says and not tell Him how He should do it. THIS WEEK IN ROOM 1501…I was reminded of something I already knew…but it was good to be reminded. I encountered my first situation, that will probably end what can be called my Honeymoon phase as a new teacher. This past week, I encountered the reality that It’s not always gonna be fun in Room 1501. Now, I knew this was going to happen sooner or later. That is just what life eventually does to all of us. However, I still deeply grieve the fact that the honeymoon phase had to end. The details of this ‘honeymoon’ ending incident are not important. The moral of the story is what is most important. I confess. My skin is not as thick as I thought it to be. I was surprised at how hurt I felt by this. I will not let the hurt grow into anger, and I am not going to allow my hurt to ripple out into sinful reactions from me. I vow to handle this situation with grace and love and patience. When these things happen, I always use them as teaching lessons in a blog or in my preaching and teaching. I have already spoken with the students in Room 1501 about the passage below. 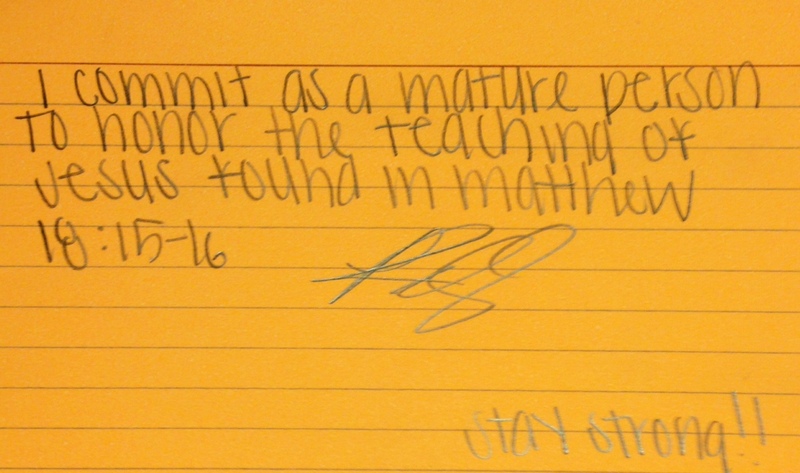 They all actually signed a card saying whether or not they would honor the teaching of Jesus below. This pic is just one card of many. I hope this blog about the situation will also serve as a reminder to all of us…if the lesson needs to be learned. I have set up a personal meeting with the people involved in this and I look forward to sharing, what is clearly a misunderstanding by a student and parents, and I look forward to full reconciliation and forward movement. The command from Jesus above is very clear in how the situation could have best been handled. I am confident that after my meeting things will be fine. 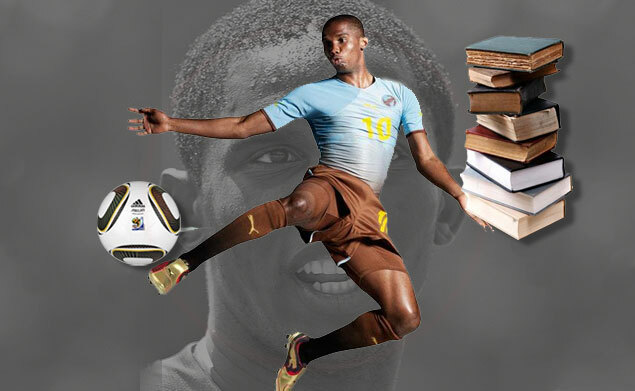 So…if I can conclude with this. If you hear about something that is taught in Room 1501/or happens at your work place/or your home… that just doesn’t seem to make any sense…then it probably didn’t actually happen…so please use the wisdom/actions that Jesus commands of us in the passage above. Any time someone offends you…please go to the person and try to make sense of it. I look forward to fully reconciling this situation and bringing clarity to the misunderstanding. Any gossip that might be generated because of this post…is a whole other blog. Don’t be a gossip. Simply pray that we all be people who behave like Jesus. We all have conflict resolution we need to deal with. I pray this situation and this blog post are a motivator for you to live more holy and reconcile your conflicts as Jesus taught us to. In the mean time…always SEEK FIRST TO UNDERSTAND, THEN TO BE UNDERSTOOD. Jesus was pretty clear on how to handle situations like these. Man, He is smart! Let’s all be smart too! The Honeymoon phase may be over…and I absolutely love Joy Christian School. Especially those who I encounter every day in Room 1501. I am grateful for this 3 day weekend…and I can’t wait for Tuesday! I’m amazed at how fast it went by! I can tell I’m getting in “teacher-shape.” My back didn’t hurt as much this week. My feet too! My vocal chords must be strengthening, because they are fine. My mental and emotional assets are learning to endure and go the distance! Training and conditioning of any kind, pays off and strengthens…but it hurts at first! I am delighted to be a teacher. Last Sunday night…I was excited for Monday to come! Now…maybe I’m just in a “honeymoon” phase of teaching and this joy/excitement is going to fade. I’ll let you know in a couple of months! 🙂 I’m betting the joy doesn’t fade! I am thinking that burnout is not from doing too much of something you love…it might be doing too much of something you actually think you love. This week caused me to reflect about some of my teachers (when I was a student). Most of my teachers, when I was young and in school, were good people who seemed to be passionate about teaching and also loved students. 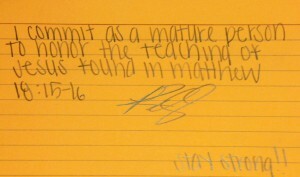 Some of my teachers seemed to have a disdain for us. This type always confused me. Why would someone be a teacher if they don’t like students? It is very clear to me that I love the students I get to teach everyday in Room 1501. I think they sense how much I love them. I am always excited when the door opens and the next group of students come pouring in. 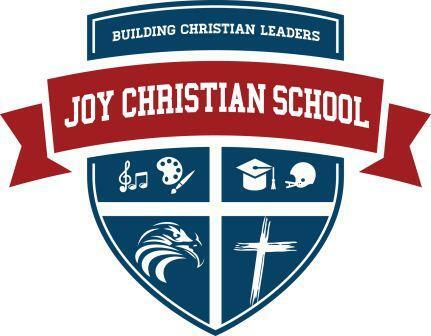 As a teacher I have found great purpose and joy in empathizing and eagerly embracing the things the Rm 1501 students embrace at Joy Christian High School. I love the challenge of meeting them on their turf…I try to join them…put myself in their shoes, in their mentality, and then creatively and passionately strive to take them and elevate them to a higher and more purposeful level. I try to get them to make sense of anything they are dealing with and face it with purpose and strength. 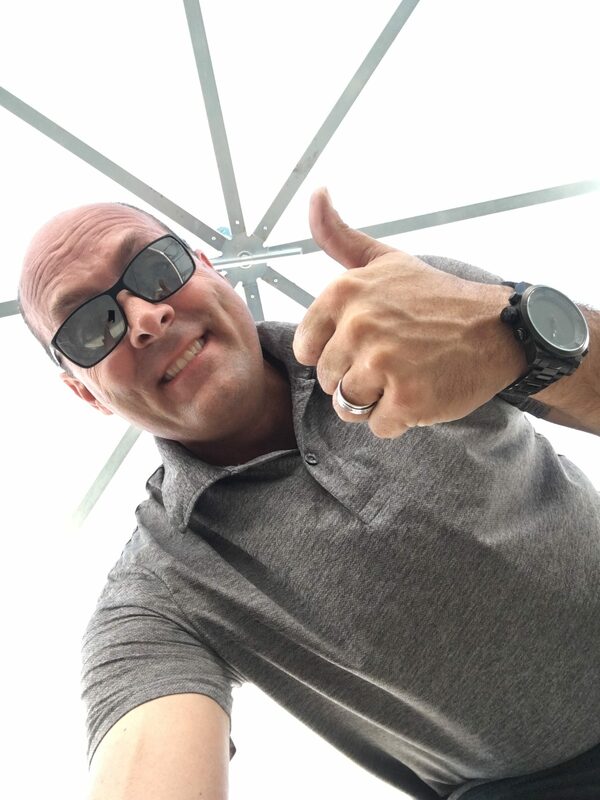 I especially love to approach the students… the one’s whose eyes never leave the ground when they enter…and have them leave Rm 1501 with a spark in their eye, and a smile on their face! To accomplish this, I think you have to truly care…and you have to be very smart in approaching them. I’m learning that the students who push me away are the ones who really want me closer. They’re just afraid. These kind are so tired of being hurt. When I think of these types…I think I can feel how our Father in Heaven feels about us. It is an incredible sense of love and compassion, followed up with a desire for those whose hearts have been broken…who feel nothing but cold and anger and fear… to get to a point where they know safe and holy love and acceptance and joy. A sense of belonging. A sense of being wanted. You don’t have to be a teacher to do this! You can do it everyday in whatever your profession is. Just start looking for the people I’m talking about. They are all around you. Tomorrow…open your eyes and begin the process of working with God to return hope to those who gave up trying to be loved a long time ago. Joining God in this kind of thing will bring new vigor to your daily profession. New purpose. I’m learning, as a new teacher, that I can never take teaching the students in Rm 1501, as an obligation. If you and I choose to take our profession as an obligation…as a kind of necessary sort of evil…then you and I will soon be overwhelmed. Life…even the sucky parts…are a privilege. I am learning that Teaching is a privilege. Whether or not you are a professional teacher…you are still a teacher. Recognize the privilege and you will live life, tired, but full. 1. If someone is breaking a rule of any kind…my silence, is actually permission. 2. I don’t have to be demanding and “stick my chest out” with a student that is breaking a rule to get them to stop breaking the rule. 3. GOOD teachers can make students follow the rules. 4. GREAT teachers will get the students to understand why the rule exists and get them to want to follow it. 5. I can be a GOOD teacher if I only teach. I can be a GREAT teacher when I learn and teach simultaneously. 7. Getting students, in the final hour of the day, to learn at the same level as the students in the hours before them…is a true challenge! 9. 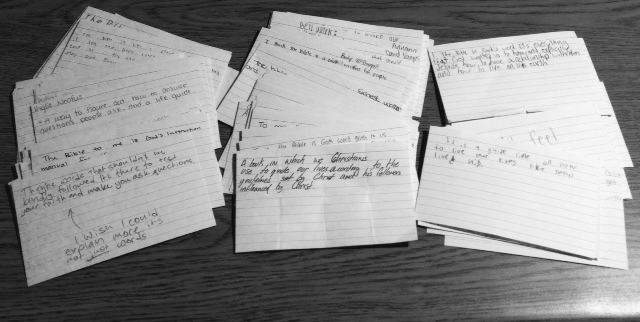 Students…just like you and me…love it when you remember their name. 10. 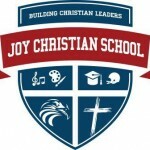 I really love being a teacher at Joy Christian School. Week two as a first year teacher is complete! Except I have some papers to finish grading and a few emails to get out. I have some students and a few parents to notify about the impact they are having on their sons and daughters…and it is showing in the classroom. By impact, I mean positive and negative. Parents are so powerful. Mothers and Fathers are so powerful. The impact of, “I am so proud of who you are.” The impact of, “You are a whore.” I can see what phrase the students heard, just hours ago at home, by simply looking into their eyes as they enter Rm 1501. My students know they aren’t always great kids, but that doesn’t excuse certain phrases that come out of mom’s and dad’s mouth. Two school weeks in and I have had many moments where I just want to drop the curriculum plan for the day and just walk around and hug these sophomores, juniors, and seniors to let them know how loved they are. How important they are. 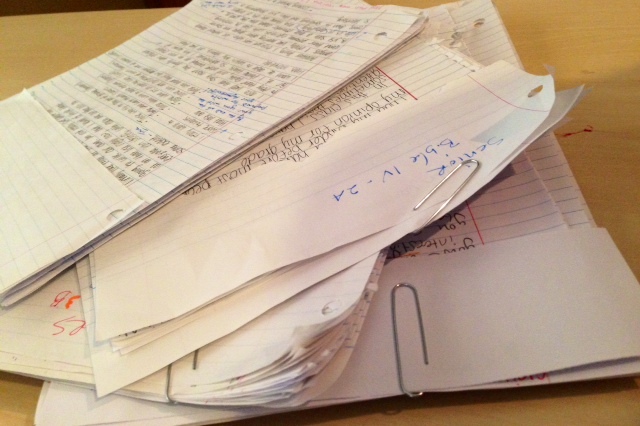 I spent all morning reading through and grading papers that I asked my students in Rm 1501 to write. I asked them to write anything they learned this week and how it applied to their life. 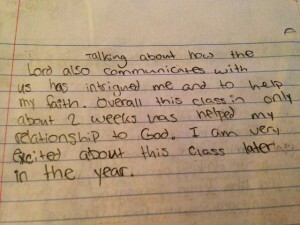 This pic is just one fun example of one paragraph I found on the back of a student’s paper. I wish you could read them all…you would never be the same. I laughed as I read some really funny comments. I was inspired as I read about hopes and dreams and biblical understanding. I cried when I read some things. I cried hard. The home is supposed to be the safest place on earth for a child. I wish I could promise all of my students, in Rm 1501, that all their homes are a safe haven to be themselves and to be free. That is a promise I can’t keep and they know it. So, the only thing I can do, is make Rm 1501 the safest place on earth. A foretaste of Heaven. My students know I mean that. Some are still a little nervous, but they are learning to trust that this is going to be a great year in Rm 1501…no matter what life brings their way…they know how real it is going to be and that they can safely contribute to that real-ness. I have so taken my teachers and my kid’s teachers for granted. I can’t believe how hard the work is. I know every job has a hard factor to it. But teaching…wow…I had no idea. I have never been so tired. As a new teacher, I am firmly aware of what teachers get paid. I also know that teachers don’t do what they do for a money reward. 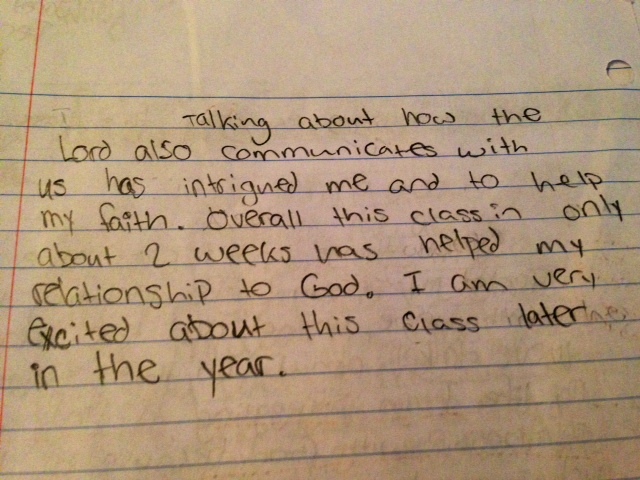 I am so grateful for what happens on the campus at Joy Christian School, but even more so in Rm 1501. I am full. I am content. I am accepted. We laugh at each other in such a positive and safe way. We wrestle with questions that I have never dealt with in any other form of 23 years of ministry work. My feet, back, vocal chords, mental, and emotional assets have never been so tired. I wish you could be a teacher for just two weeks. I am so excited for Monday.